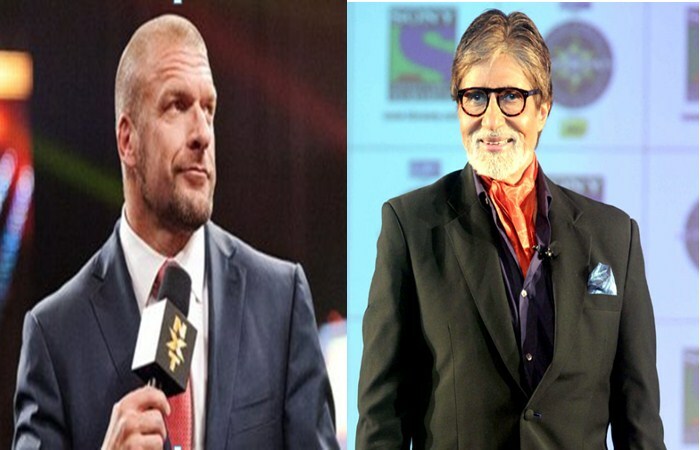 On one side, the king of wwe Tripple H, on the other side, Big B means Amitabh Bachchan, known as the Shahenshah of Bollywood. On being told by the reporter, Trriple H repeated a dailoge of Amitabh Bachchan Shahenshah film in his style, saying "Riste Mein to Hum Tumhare Baap Lagte Hai Naam Hai Tripple H" was very interesting to hear it. And let you know that in the WWE Kavita Devi has also been joined with India's Jinder Mahal. And this is India's first female wrestler, which is connected to the wwe network. Jinder Mahal is the current active Indian talent in pro wrestling circuit and will soon be performing live in India in December.